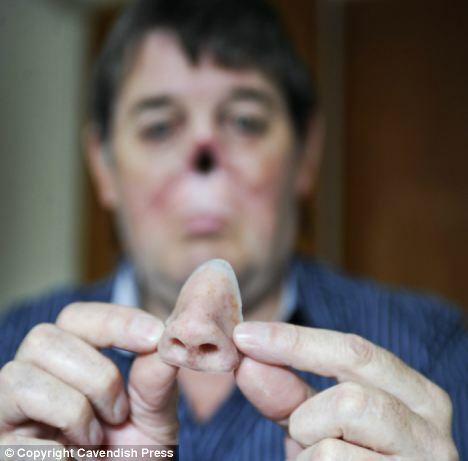 This man has no normal nose – its removable. And every night before he goes to bed he takes it off and sticks it the fridge with a magnet. 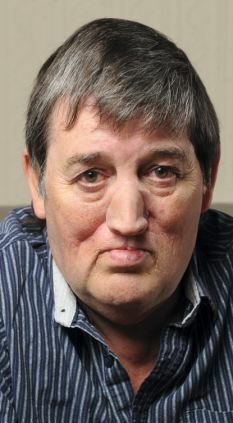 Brit Bert Eastham had his original nose removed by surgery after getting cancer. So doctor fashioned him a new nose which is made from silicon and is fixed to his face with small magnets. The 64 year old man, from Chorley in the North of England, says the new prosthetic nose has changed his life. ‘I used to wear my nose to bed when I first got it, but one night it fell off and landed in one of my slippers, when I got up in the middle of the night, I stood on my own nose. I got the shock of my life. ‘It was only when I noticed the fridge magnets in our kitchen that I thought I would test out whether my new nose would stick to the side too. ‘Now if I’m cooking dinner, sometimes I’ll just stick my nose on the fridge next to the magnets because I don’t know when my nose is running and I wouldn’t want anything going into the food. Great Blog thanks for sharing this information ….